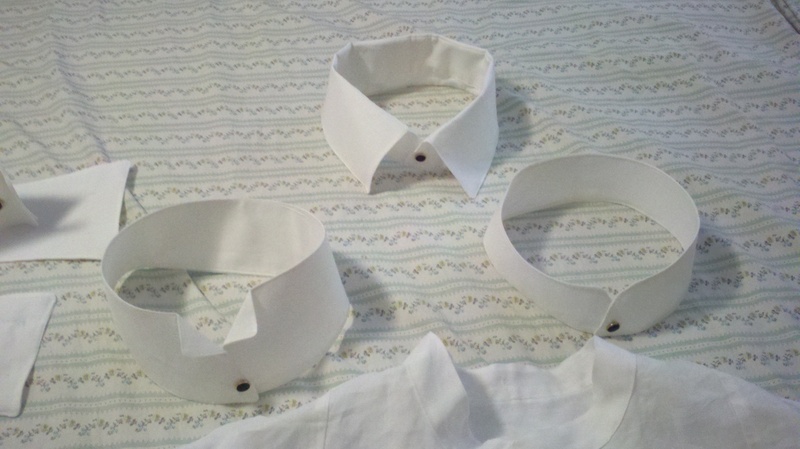 I ended up making 3 collars and 2 cuff sets to go with the 1 shirt. 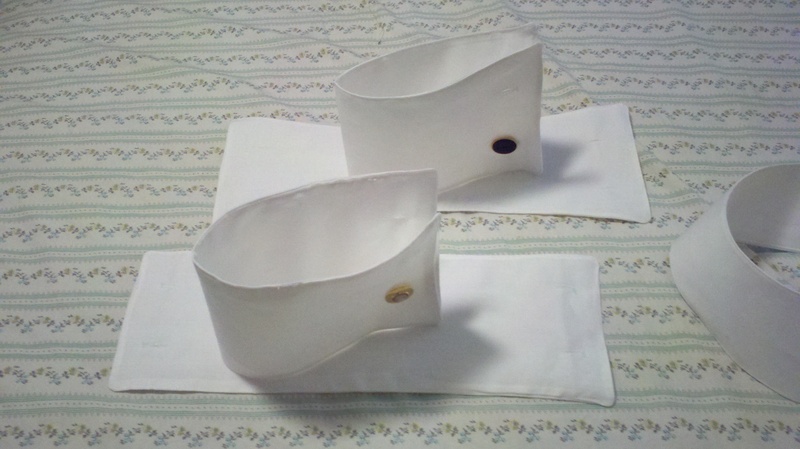 The cuff sets, collars, accessories and shirt. I decided on linen for E’s shirt because it is what I had. You will see a distinct lack of buttons due to the fact that this is kind of a tuxedo style shirt as it is all attached with collar studs, shirt studs, cuff studs and cuff links. 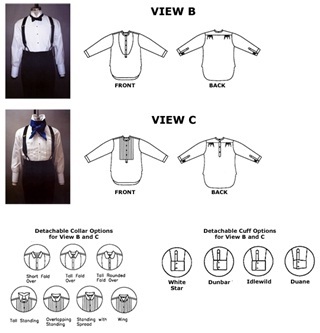 You can see a sampling of the mentioned when looking at the collars and cuffs. 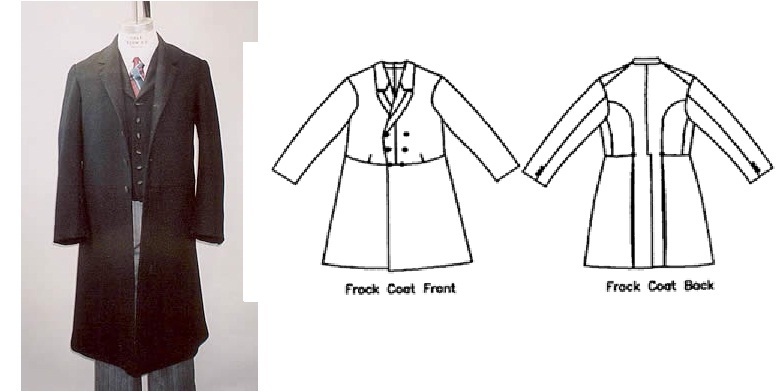 The wing tip tall standup collar, the tall spread fold over collar and the tall simple stand up collar. One set has a swoop in it and one is a more standard straight edge. The fabrics for E’s stuff is pretty straight forward. From Joann Fabric Brocade section. This is what I will be matching my day dress too. I will also be using a similar shiny silk satin as the backer for the day vest. I will most likely have to send off for a few swatches to make sure I can color coordinate. I love fashion fabrics club and they have 2 very nice selections of a tropical weight black wool <http://www.fashionfabricsclub.com/p/12514/Black-Tropical-Wool&gt; and a charcoal grey silk lining <http://www.fashionfabricsclub.com/p/13489/Charcoal-Grey-Silk-Lining&gt;. 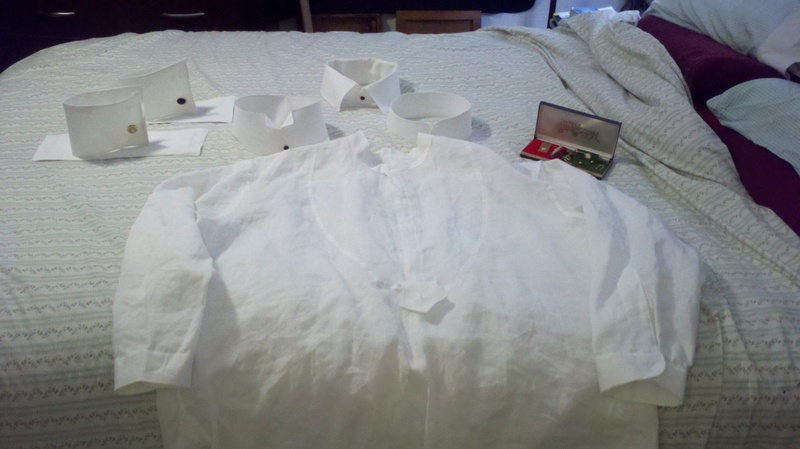 The men’s shirt pieces, since I will doing one shirt and 2 sets of cuffs and 2 collars. I am going to go with a fabric that I know and love, the Ramie Linen, which is a much more durable linen fiber then the standard linen <http://www.fashionfabricsclub.com/p/LINEN06/White-Ramie-Linen-15-YARD-BOLT&gt;. I may see if there is still any to be had from the original bolt I bought for the wedding. I think that for the ties I will make 3 to give options, I will probably make the day ties out of a matching teal/blue color to coordinate with all of the rest of the garments. For the evening I will have to make a black tie, for bow ties the standard is silk also, so I will probably need to get some black silk of the same quality as the teal/blue. I do have to say I am really having trouble finding a blue/teal that compliments. I think I found it! An aqua/teal/blue/green to match. 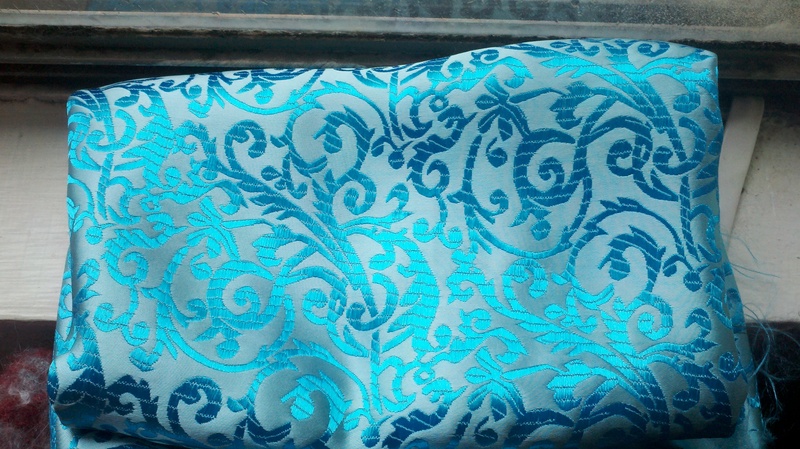 The website offers free sampl, so I have sent for one, but here is the link <http://www.belraffabrics.com/fabrics/bridal/silk/1008-aqua-silk-charmeuse.html&gt;. So this will be a long post, due to the fact that it is kind of hard to break up the men’s fashion. The California Pant, omg, so there are 26 pieces to these pants, who knew pants could be this complicated. I have made my solid patterns off the tissue pieces using this instructable <http://www.instructables.com/id/Turn-a-Commercial-Pattern-into-a-Permanent-Pattern/&gt; and it worked fabulously, even E was impressed. The coat will be single breasted as that is what E prefers. 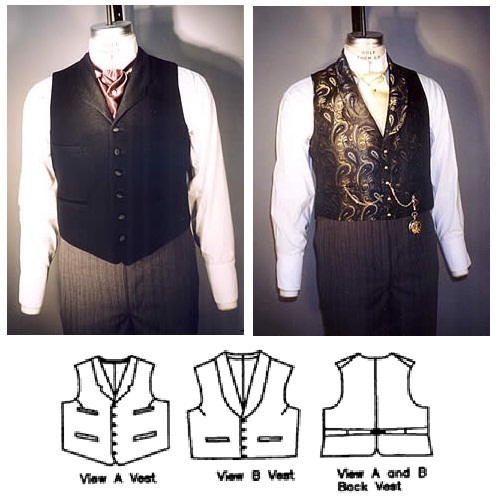 Next come the vests, one will be colorful for the day look and go with a subdued shirt collar and cuff and the lower cut one will be out of the same black as the suit pant and jacket with a higher collar and bow tie. I am going to put fabrics in another post. This one is long enough!